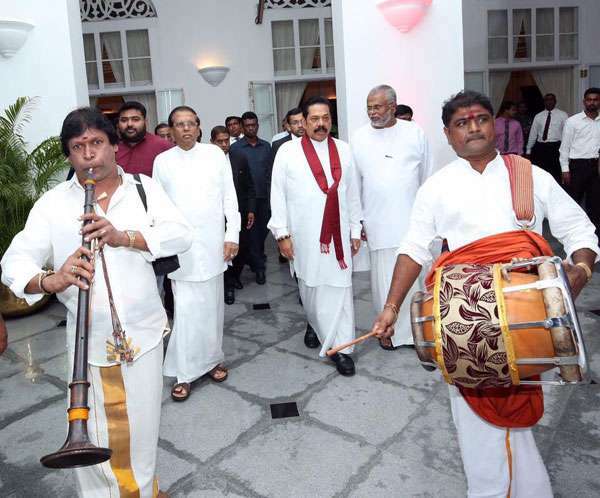 The leader of the Tamil National Alliance (TNA) R Sampanthan celebrated Deepavali with the Mahinda Rajapaksa and the paramilitary leader Douglas Devananda, at the residence of the president, Maithripala Sirisena this morning. Sampanthan's visit comes amid the country's ongoing political turmoil following the sacking of Ranil Wickremesinghe as prime minister last month and the appointment of Rajapaksa, who oversaw the killing of tens of thousands of Tamils in 2009, in his place. Despite criticism of his decision from within in parliament, civil society and the international community, Sirisena remains defiant. (Read more here). 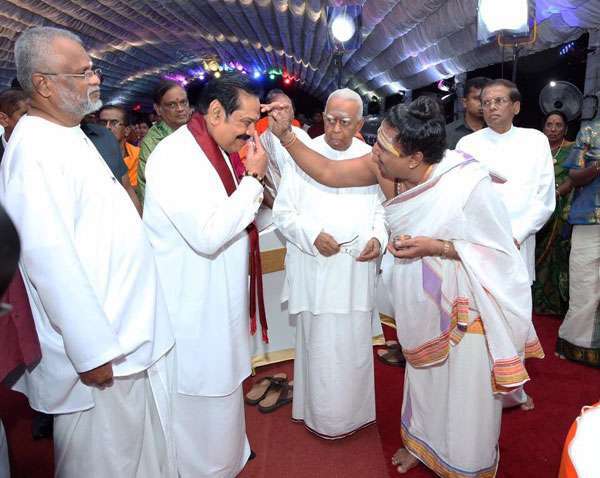 Sampanthan was quick to meet with Rajapaksa following his appointment, however, the TNA as a party has since announced its decision to support a UNP no-confidence motion against him.